What could be simpler to understand than a simple “thumbs up”? Apparently a lot of things: New research suggests that the brain uses deliberate thought to respond even to familiar gestures. The finding is surprising because humans are known to react quickly and intuitively to body language, tone of voice, gaze and other signs of a person’s intent. Gestures are different, according to a study published online in the journal Human Brain Mapping. The study found that humans infer the intentions behind gestures with some effort, at least when the gesturer offers no other cues. Less surprisingly, the study also found that same-race interaction leads to greater activity in the mirror neuron system, a region of the brain linked to subconscious imitation. In the study, neuroscientists at USC and Peking University asked 18 ethnically Chinese volunteers to interpret gestures made by Chinese and Caucasian actors trained to remain expressionless. The gestures were either highly familiar (like the thumbs-up sign) or utterly foreign (words from American Sign Language), as confirmed by a separate group of Chinese volunteers. Functional magnetic resonance imaging (fMRI) was used to observe the volunteers’ brains as they viewed video clips of the actors performing the gestures. The “mentalizing” system – a part of the brain linked to reflective, non-intuitive reasoning – showed greater activity in response to familiar gestures. This was true regardless of the actor’s race. Unfamiliar gestures were associated with greater activity in the more intuitive mirror neuron system. The finding contradicts previous studies showing a relationship between familiar stimuli and mirror system activation. 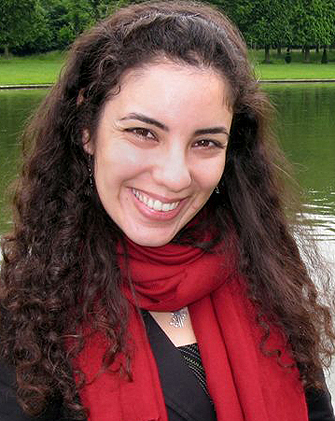 The study’s senior author, USC neuroscientist Lisa Aziz-Zadeh, speculated that the mentalizing system is necessary to think about the meaning of a gesture. “When you watch familiar gestures, you activate the mirror system … but you additionally recruit the mentalizing system,” Aziz-Zadeh said. This suggests that humans size up each other not only by using their own motor representations but also through deliberate analysis of the other’s words and actions. Aziz-Zadeh is an assistant professor in the USC Brain and Creativity Institute, part of USC College, with a joint appointment in the Division of Occupational Sciences and Occupational Therapy at the Herman Ostrow School of Dentistry of USC. She worked with USC graduate student in neuroscience Sook-Lei Liew, the first author of the study, and Shihui Han, a member of the psychology faculty of Peking University in Beijing. The research was funded by the National Natural Science Foundation of China, the National Basic Research Program of China, the Fundamental Research Funds for the Central Universities (China), the National Science Foundation East Asia and Pacific Summer Institutes, the National Science Foundation Graduate Research Fellowship, the USC Provost’s Ph.D. Fellowship, the USC Brain and Creativity Institute and the Division of Occupational Science and Occupational Therapy at the Ostrow School of Dentistry.